Archives Unleashed Datathon participants present their experiments. Photo by Ian Milligan. 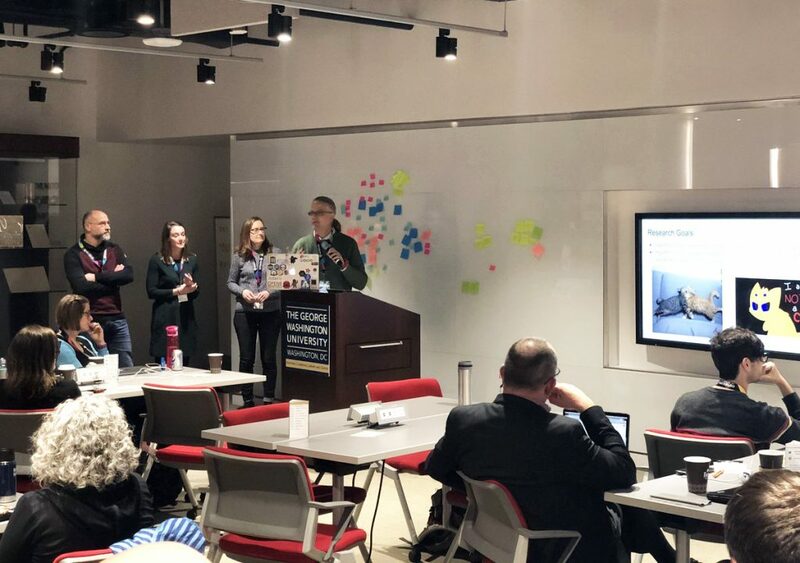 Archivists and researchers met for a “datathon” at George Washington University, to open web archive collections with new discovery and visualization tools. See their final presentation materials here. Thanks to the Archives Unleashed project for organizing, and to the partners at the National Library of Medicine, Ivy Plus Libraries Confederation, DC Public Library, and Radcliffe Institute’s Schlesinger Library for donating collections! A Public Record at Risk: The Columbia Journalism Review surveys the needs for web archiving in online journalism. Sorry, This Page Does Not Exist! : An introduction to the Brazilian Presidential Transition Web Archive collaboration. The Challenge of Preserving the Historical Record of #MeToo: The New Yorker reports on the Schlesinger Library’s growing web archive. Ghosts in the Machine: Emory University partner John Bence comments on the challenges of social media archiving. Searching and Using Web Archives: Partner Lynda Schmitz Fuhrig surveys the landscape with examples from the Smithsonian Institution’s Archives. The Web Archiving Systems API (WASAPI) introduces sophisticated new tools to access, download, and transfer WARC file data and metadata. Please join us at 11AM Pacific, 2PM Eastern on Wednesday, May 29, for an Archive-It Advanced Training webinar on WASAPI: Register here. This webinar will be recorded for later viewing in the Archive-It Help Center. 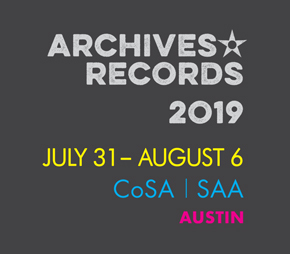 In case you missed it, you can view a recording of our latest advanced training, Archive-It as a Reference Tool, here in the Archive-It Help Center. A warm welcome to our newest partners!